All I can say is WOW... and THANK YOU to my friends Ann and David. They have spoiled me and I couldn't be happier with my gift. Ann told me to expect a parcel in the mail but I had no idea what it was going to be, so I was curious. 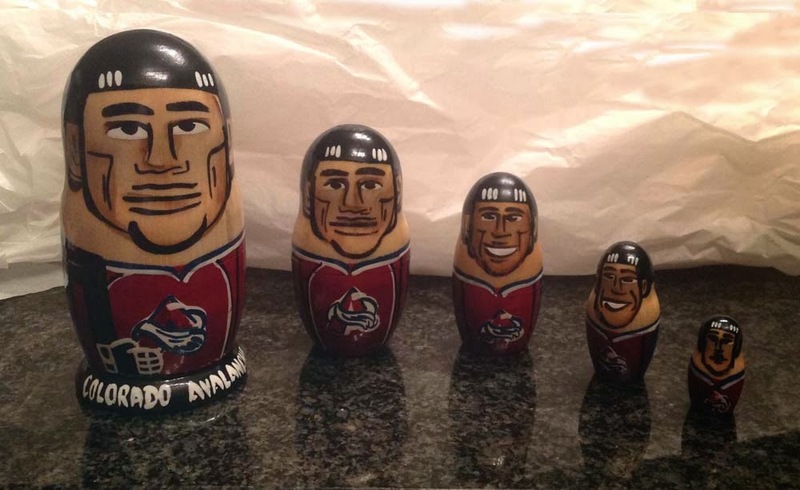 The box arrived yesterday and I was thrilled with the contents: a set of wooden nesting dolls of the Colorado Avalanche, my favorite hockey team. Not only do I love the dolls, but also the fact that they are from Prague, a city that I like a lot. Who would ever guess that you'd find Colorado hockey items in Prague? Ann tells me that she also found Broncos football figurines in Prague! 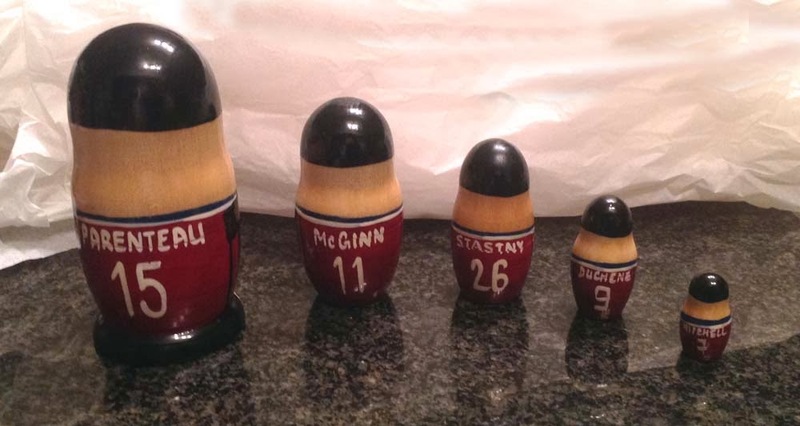 On the back of the players' shirts are their names and numbers: Parenteau #15, McGinn #11, Stastny #26, Duchene #9 and Mitchell #7. I like the smile on Stastny's face. I wonderf if he's thinking ahead to holding up the Stanley Cup? Thanks again Ann and David!